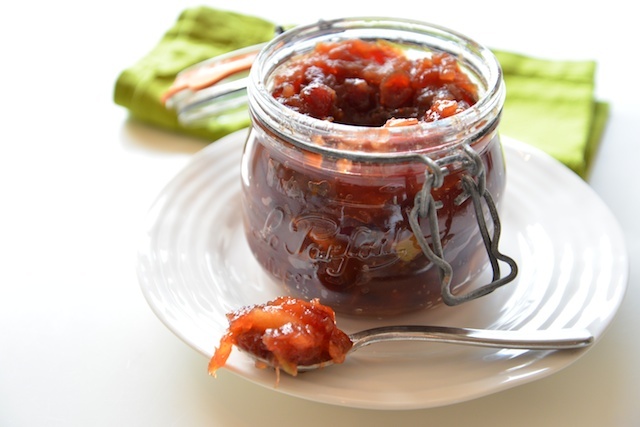 This cranberry-apple chutney is one of my holiday staples. Every year I like to make a big batch just before Thanksgiving and pack it into jars, either to serve with festive meals at home or to bring to our hosts as an edible gift. I’ll be testing it out on Thanksgivukkah this year and I think it will go down a treat. The chutney is lovely with turkey, slow-roasted duck legs or really any roasted bird – and wonderful with leftovers. Place all of the ingredients into a saucepan or dutch oven and place over medium-high heat. Bring the mixture to a rapid simmer, stirring regularly, then lower the heat to a slow simmer. 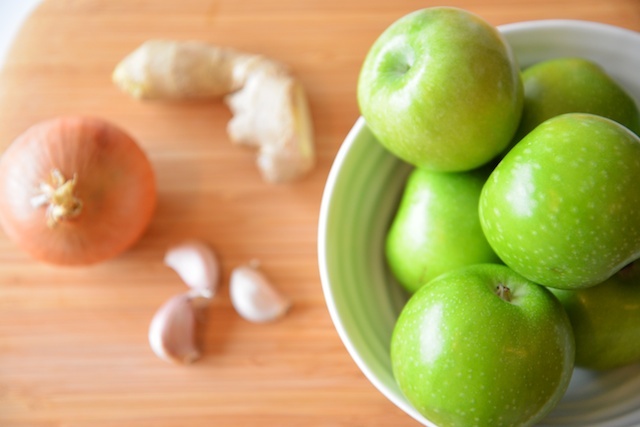 Cook for 45 minutes, stirring from time to time, until the apples have become soft and the mixture appears thick and jammy. 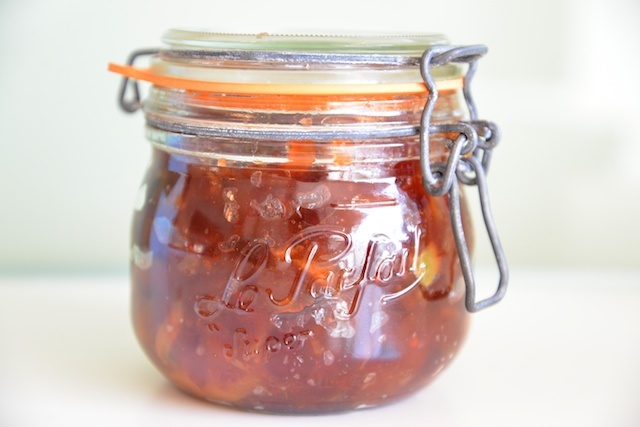 Transfer the chutney into clean jam jars and close the lids tightly. Once cool, store the chutney in the refrigerator until the holidays are over. Looks delicious and it would make a cute gift!